Finally... A Foolproof Method That Will Automatically Boost All Your Google AdWords Conversion Ratios To The HIGHEST Possible Level! There's a LOT riding on your AdWords campaigns. And right at the top of the list? The cold hard cash it takes just to keep your campaigns afloat! That being the case, it's no wonder you're constantly seeking out methods which will increase the amount of profit you ultimately gain. And most likely, new and innovative methods will continue to surface, offering you additional ways in which to improve your AdWords campaigns. That's great. That's exactly what you need in order to fine-tune your advertising efforts. You don't have to wait for some new and innovative method to come along. Why? Because the ultimate method for improving your Adwords campaigns is already here! Maybe you're one of the lucky ones... maybe you've got SO much money rolling in as a result of your AdWords campaigns that there's just no need for improvement. Yeah, right. And I navigate a starship through the galaxies in my spare time! Those of us who utilize AdWords will NEVER assume we've achieved the highest possible ROI (return on investment) - no matter how impressive the results might be. You KNOW you can do even better! Yep. With just the right tweak, just the right word change, just the right keyword, or just the right ad title... you're certain you can shoot that AdWords campaign right through the stratosphere! Well, maybe not the stratosphere. But you're certain (at the very least) that you can drive that old conversion ratio up another notch or two. The point is, we're always trying to improve what we've got. If an AdWords campaign is doing well, you can rest assured we'll do everything in our power to make it even better. Of course, that's basically the name of the game... getting something to work well and then improving on it. And that could mean tweaking what's already there or finding new improvement methods. Either way, making it better is the primary ongoing objective. And You're "Guaranteed" To Increase Your Conversion Ratio! Unfortunately, when it comes to working with AdWords, there's one important aspect that most people neglect. And not just those who are new to AdWords. Even veteran marketers are guilty of giving less attention to one particular area of their campaign. So what is this important aspect? It's the landing page... that all-important place viewers are directly taken to when they click on your AdWords link. Get the landing page wrong and you've pretty much wasted your entire AdWords campaign (and of course, your hard-earned money). Get the landing page right and you can count on a decent conversion ratio. That means lots of targeted traffic, considerable income generated, a large number of mailing list sign-ups... etc., etc. Granted, most of us who are familiar with AdWords campaigns have already figured out the basics. Like what type of landing page works best for a certain product or program. Or what information should be included on the landing page. Then, once that's determined - once it's established in any given AdWords campaign - the landing page is most often forgotten. Or, at the very least, it winds up taking a back seat to all the testing and fine-tuning that's generally involved with improving the ads. On one hand, that's perfectly understandable. Especially since the quality and effectiveness of the ads themselves are directly related to the level of success you achieve. Rather than allow them to take a back seat, why not turn landing pages into one of the most solid and effective methods of raising conversion ratios. No doubt about it... giving the landing page more power would definitely be a smart move. Find Just What They're Looking For On YOUR Landing Page! What's the most common reason viewers back out of a landing page? If you said it's because the page they were taken to doesn't appear to be directly associated with their search... you would be absolutely correct! So there they are, conducting a specific keyword search and they come to a page that displays everything BUT their keyword. Naturally, they assume they've come to the wrong place and immediately back out of there, ultimately clicking on someone else's ad. All that work you invested in creating the *perfect* AdWords campaign only to lose the viewer to one of your competitors. * What if I told you there was a software program that would prevent viewers from immediately backing out of your landing page. * What if I told you there was a software program that would turn your landing page into an exact match for whatever search the viewer happened to be conducting. Great... because that's exactly what Conversion Equalizer does! With one convenient, easy-to-use program, you can create landing pages that will include whatever keyword was being searched for at the time the viewer clicked on your AdWords link. You develop a niche website that deals in everything related to dog biscuits. How to buy them in bulk, supplies for making them from scratch, biscuit recipe books, etc. After extensive research, and covering all your bases, you make certain your AdWords campaign includes every important keyword phrase your prospective buyers would be using. Let's say viewer number 1 is conducting his search using the keyword phrase "wholesale dog biscuit suppliers". And viewer number 2 is conducting her search using the keyword phrase "dog biscuit recipes". They both click on your AdWords link (the same ad) and arrive on the same landing page. The only difference is, viewer number 1 sees only HIS keyword phrase throughout the content and viewer number 2 sees only HER keyword phrase. Instead of either one of them backing away, they each feel confident that they've come to the right place. And of course, they have! But the best part of all? This is automatically accomplished through the magic of Conversion Equalizer... on the fly, based on the keyword that was used during the search! All you do is insert special code within the title and content of your landing page (or anywhere else you want a specific keyword phrase to appear) and Conversion Equalizer does the rest! Let's say you've bid on 100 keywords. Under normal circumstances, you would need to invest a considerable amount of time building 100 different landing pages. But NOT any more. Thanks to this amazing software, all you have to do is create one single landing page. 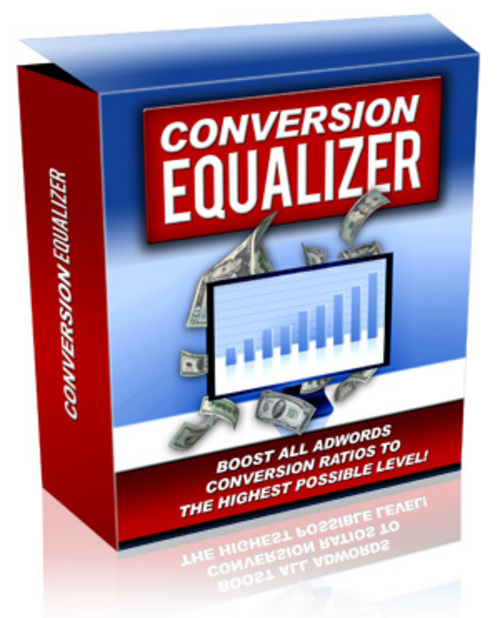 Beyond that, Conversion Equalizer will automatically and individually target your landing page to EACH of those 100 individual keywords! You create one landing page, push a button, and then sit back and relax. Or go play golf. Or whatever else you want to do with all that spare time you've just been handed! Give YOUR Landing Pages The Power They Deserve! One small payment. That's all that stands between mediocre landing pages and ones that can drive your conversion ratios to their highest level. All that AND a sensational price of only $1. What more could you ask for? I'm telling you, in just minutes you can turn all YOUR landing pages into viewer magnets. That means maximum results and maximum conversion ratios! Come on... don't just think about it. Purchase your copy now!